Visit Germany at this time of year, particularly the Rheinland, and you’re likely to run into one of the world famous German markets. Of course, they do visit Britain and other places, but the experience isn’t quite the same! At said market, you’ll encounter all manner of German sausage, bratwurst, and sweet breads such as Stollen. However, there is one other commodity that no German market would be complete without; glühwein, or mulled wine. Indeed, one of the most satisfying characteristics of the German markets is witnessing hoards of people shuffling about in their winter attire, sipping at the rim of a piping hot cup of glühwein (mulled wine). If it’s that feeling you’re after then you need look no further, for you have found just the recipe! To be honest, it’s somewhat tricky to develop a recipe for truly traditional glühwein – as with most things everyone appears to have a slightly different method by which they make it. Still, by reading four or five different, supposedly authentic, recipes one is able to infer roughly what should and shouldn’t be present. Cloves, cinnamon and red wine are, of course, requirements. However, sugar and water are less frequently used. As you might imagine, things get even greyer when one attempts to throw in cardamom and star anise. As for the lemon, citrus fruit is a must in a good glühwein recipe! With regards to the sugar and water, I feel they are entirely necessary. Without the water glühwein is a little bit too much of a kick in the face and without the sugar it fails to achieve the levels of comforting viscosity required. The land lies similarly with the cardamom and star anise, since they add rather a lot to the general spiciness of the drink! This recipe really is spot on – I hope you’re looking forward to my recipe for mulled cider! 1. Throw everything into a heavy bottom saucepan and heat over a high flame, reduce the temperature after a minute or so and allow to simmer, without boiling, for 1-2 hours. 2. Portion out – it should be enough for 4 – or set aside to cool a little, remove the ingredients and bottle for use in a week or two. Cost: The only truly expensive item on the list is the red wine, though you needn’t go all out since a bad wine will lose its unpleasant edge anyway. In fact, if you use an expensive wine then you’re a brute! Indeed, the entire bottle of mulled wine should set one back around £5, especially at this time of the year when there are plenty of alcohol sales about. Very frugal, I hope you’ll agree! I hope so! Mulled cider recipe might have to wait until next year now… weather is too bad. Though I might have a chance on Monday! Oh it is, it is. Sounds yummy, love the idea of adding cardomom, but I would absolutely have to add orange instead of lemon. Thanks so much for the recipe. I’ve been wanting to make some mulled wine. It is getting a bit too chilly to enjoy a glass of chilled wine. No problem! Absolutely – give it a go. I am soooooo making this! This looks so good:) I’ll be making my own Danish version (gløgg) tonight. Interesting! I’ll have to look it up! Love glühwein! 🙂 This looks so festive! It is 😀 – it’s so delicious. My daughter-in-law is a flight attendant for Delta. This past weekend they flew into Frankfurt and stayed in Meihn (sp). She brought back the freeze-dried seasonings. She tasted various cups of “mulled wine” at the Christmas market. Some had sugar if one wanted to add some. However, there was one shop that had added amaretto which she says was very good. There are no directions so I am going to guess what it might be for a cup by looking at the recipe above. Sounds excellent! I will try your recipe this weekend. Thank you, let me know how it goes! Nick, I tried your recipe yesterday. I added some orange slices to it and reduced lemon. It was fantastic! Making some more for the New Years Eve. Thank you! Out of curiosity, what do you think would happen if you decided to forgo the sugar and use a sweet red wine instead? Bad things… to be honest, I don’t know. You could do that, but may need a little sugar still. Thanks so much. I love mulled wines. Now I just have to convert ml to cups. There’s a link to measurement conversions at the top. I lived in Germany for a year and still have fond memories of the Christmas markets and how the gluhwein complimented the bracing cold. Thanks so much for sharing…I will be making this! Fantastic – me too, though I’ve not lived there. I hope you do. Hoooo! I do not drink, but this does seem absolutely irresistibly delicious. Have a great Holiday season! You too, Granny! Thanks for featuring it! I’m having a wine tasting party next month, but I always have a signature cocktail at my annual party. I’m thinking this might be a great twist on the “specialty drink”. Thanks for sharing! Great! I think this would definitely be perfect! Awesome job! Going to making some of this for the in-laws whoa re coming north from Florida and will need something to take the chill off here in Chicago. Thanks, Peter! Let me know how it goes down – a taste of Germany. Cheers, mate! Happy Christmas to you from Ottawa, Canada where we received 25 cm snow today . . . 5 – 15 more expected in next 12 hours. I suspect there will be many snow shovellers looking for just this sort of fortification. Every year the christmas markets pop up in Berlin, every year we indulge in the bratwurst, flammkuchen and Glühwein and every year we forget how rough a Glühwein hangover can be! Yum, this would taste lovely with your chili bark too!! Cloves and nutmeg = delicious!! Oh yes… it did actually. This looks lovely. Your photos here are absolutely stunning! Gorgeous colors. 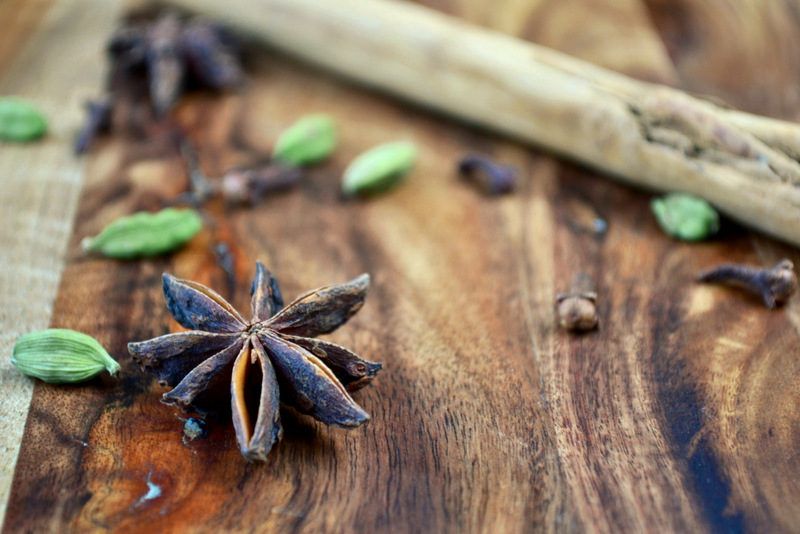 Love the photo of the star anise! Beautiful photos, Nick! And I agree: use an inexpensive, fruity red! Thanks, Daisy – definitely… ’tis a waste otherwise. Mmmm mulled wine. I was in Germany for three months a few years ago and tried this – brilliant. Fantastic – you must try it! this leaves me with fantastic memories of my winter in Europe—-mulled wine is called Bluewine in Amsterdam (sp?) -the Gluhwein in Germany was sold everywhere! Glad I brought them back. Never been to Amsterdam I’m afraid! Interesting though. Tut, tut… gluhwein is best not served chilled – we reheated it on Christmas Day and it went down very well! Hot drinks actually cool you down eventually, I believe. Fantastic – glad you enjoyed it so much! I love mulled wine and you’ve made me brave enough to try this on my own! Oooh I miss Christmas markets in Europe…and Glühwein!!! Not all Christmas market Glühwein is good though – one time I had one that’s like lighter fluid (in Estonia) well if I imagine that’s what lighter fluid tastes like… Your version looks really good. Yum!! Have a merry christmas!! Oh blimey, that isn’t good – I’ve only ever been to good ones! Merry Christmas! Stopping by to wish you a very Merry Christmas! Lovely post and I can attest you, your recipe is authentic! And you are right, the Christmas markets outside the country are just not the same. We have one here in Bethlehem, Pennsylvania, supposedly one of the nicest in the US. I visited for the first time this year and was shocked to find it INDOORS. Sipping Glühwein while stepping from one foot to the other to keep the circulation in your toes going, is part of the German Christmas market experience. Thank you! Indoors?! No! Travesty! There is absolutely nothing about this that I don’t like. Merry Christmas! You’re far too nice, Amanda! We enjoyed your recipe last night and it was wonderful and easy as can be! Thanks so much for sharing! Fantastic! So glad you enjoyed! Mmmm… Christmas may be over, but as I haven’t yet made this, I think I must keep celebrating! Haha – indeed… you must! Fantastic photos! thanks for dropping by! Looking forward to giving this version a go – love the idea of cardamom and start anise! How did I miss this? Wish I had used your recipe. Mine had no water, no star anise or cinnamon stick and far too much sugar. I managed to get through it somehow anyway – hic!! That’s a shame! Keep an eye out more often :D.
This is a favorite. I’ll give this a go and report back. Looks fantastic. Thanks for sharing. This looks delicious! I need to try it! I made this Christmas Night- it hit the spot and made the night perfect! Thanks for sharing!!! It’s so chilly today, I wish I had seen this a week ago! 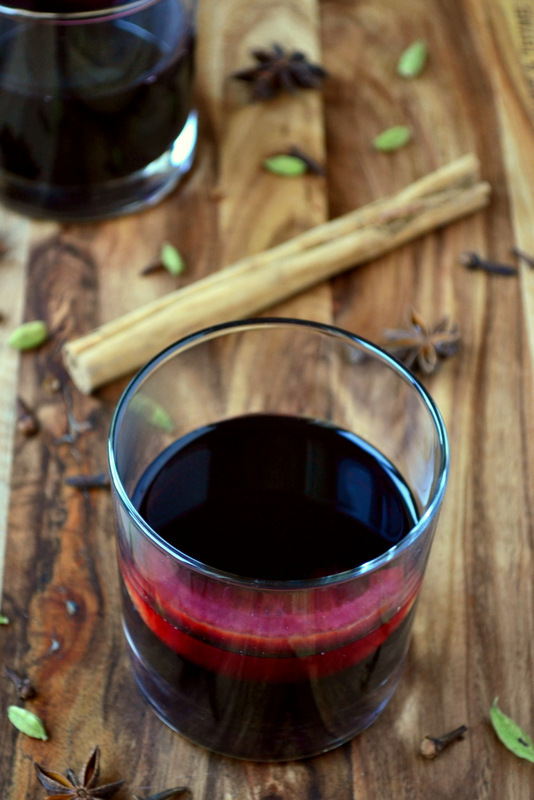 I’ve never had mulled wine before, but it definitely looks like a drink to savor and warm the toes on a cold winter night. I loved mulled wine! And I just saw a show about the German Xmas markets…beautiful. Definitely each German family has THE Glühwein recipe. 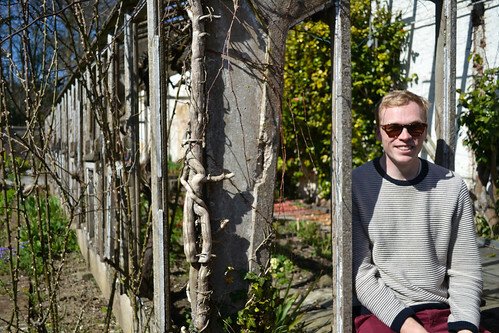 I’m born and bred in Neustadt an der Weinstraße, close to the Rhine river and the French-German border. 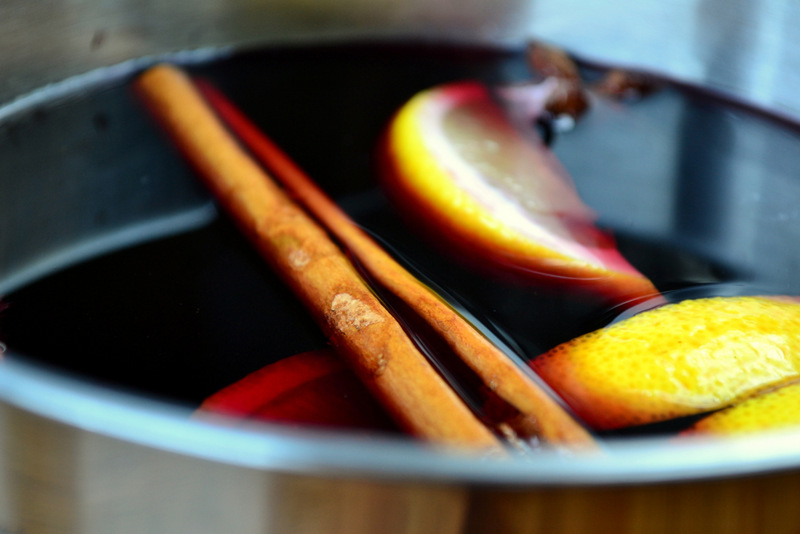 We’d never use any water in our Glühwein, add orange and/or mandarine instead of the lemon and less sugar. After my parents divorced 25 years ago, my father’s side developed an extra trick. New family, new Glühwein! He does it now as I do but with added nutmeg and bay leaf…sounds strange but it: delicious! I achieved the desired effect in any case :D.
I love star anise – I will be making this! Went to Maastricht, NL for a few days post-Christmas and drank mugs of Gluwein at the Christmas market. 😉 Mulled way is the best way to make cold winter nights cozy. Will have to give your recipe a try…I’m sure it will bring back good memories. Fantastic – I’m sure it will… it did for me. Thank you for liking my ‘bugs and ice-cubes’ post. Glad you enjoyed it!! Your recipe sounds good. I will definitely try next year. Thanks for posting. HOpe it is ok if I reblog. This looks good. I’ve been looking for Gluehwein recipes that do not require CUPS of sugar and yours is the first I came across. I hope I am able to make this on the weekend. If you are a real gourmet, use dry white wine instead of red wine to prepare your Glühwein. Perhaps I’ll give it a shot – though I’ve never seen white gluhwein anywhere in Germany?! Is it particular to a certain region? I just came back from a river cruise down the Danube (starting in Passau, Germany and ending in Budapest) and saw weiss gluhwein at almost at markets. Didn’t try it though. I swear the guy at a candy shop we were at in passau said that his gluhwein actually contained both red and white wines (less white than red, was still red and not rose in color). It probably depends where you are – regional variations etc. The gluhwein I’ve had in German markets has almost always been just red wine. I am tempted to do a weiss gluhwein recipe! Love this recipe Nick! 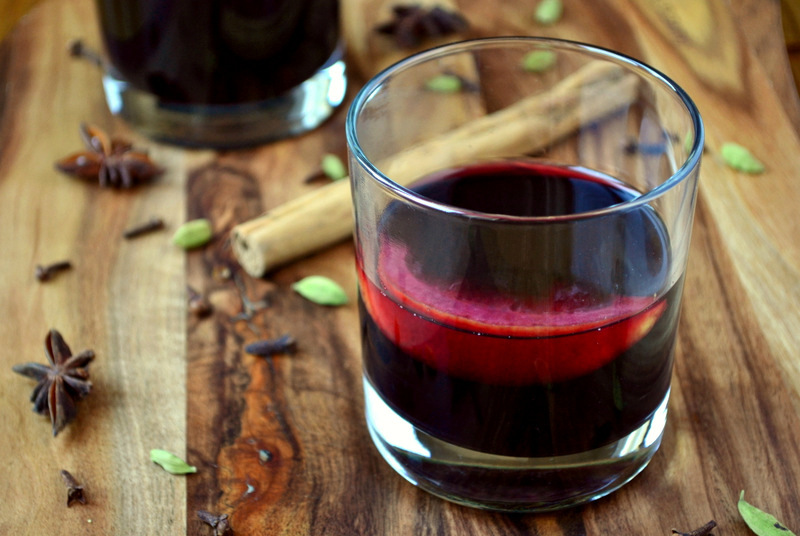 I had a mulled wine recipe years ago and darn if I can’t find it or remember it. I’ve got all the ingredients on hand and I’m making it this afternoon. 🙂 Thanks for the recipe! I’ve never had mulled wine in Germany, but I’ve traveled to London in December and had it, and I was quite impressed! These photos are outstanding, by the way. Thank you very much! You should try it yourself for sure! Very quickly… too quickly… h yes, glogg – I might give that a shot this Winter. Thanks!